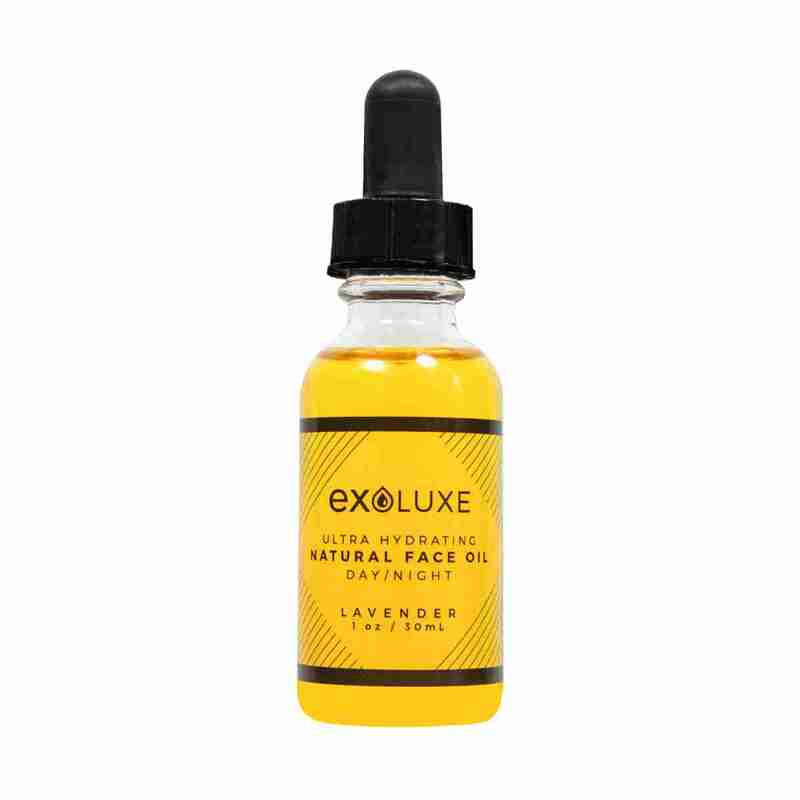 EXO LUXE Natural Face Oil. Ultra Hydrating; Use Day or Night. Hydrate and beautify your skin with EXO LUXE Face Oil. This carefully crafted formula is made with a blend of natural oils; designed to moisturize and even skin tone, while reducing the appearance of fine lines and sun spots. Lightweight and luxurious; this face oil is safe for all skin types. Made with 100% natural ingredients. For Best Results: Use as a daily moisturizer and/or blend with a tinted moisturizer for a natural glow. Use nightly after cleansing to restore and hydrate skin overnight. Ingredients: Simmondsia Chinensis (Jojoba) Seed Oil, Rosa Canina Fruit (Rosehip) Oil, Oenothera Biennis (Evening Primrose) OIl, Argania Spinosa (Argan) Kernel Oil, Lavandula Angustifolia (Lavender) Oil.